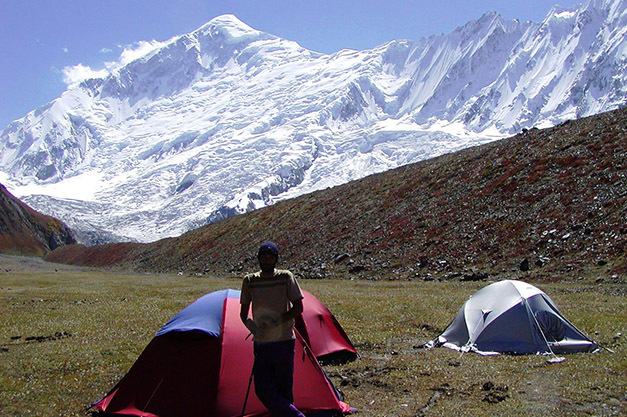 Diran is located in the Karakoram range of sub range of Rakaposhi Muztag in Gilgit-Baltistan, Pakistan. 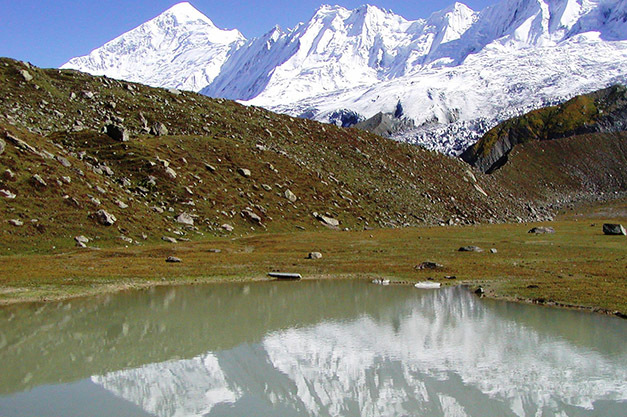 It is 7,266-metre (23,839 ft) above sea level , pyramid shaped mountain lies to the east of Rakaposhi (7,788m). the trek up to base camp is moderate and green. 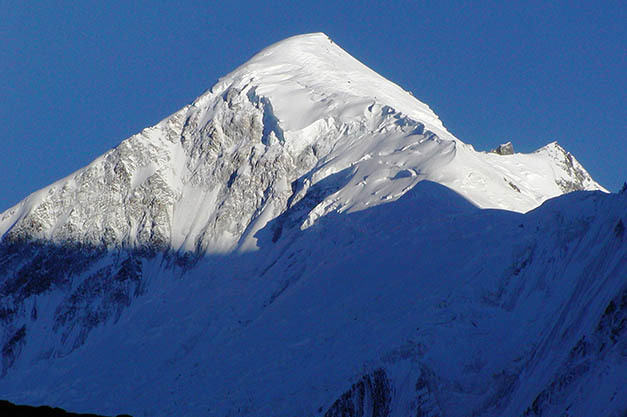 Diran was first climbed in 1968 by three Austrians: Rainer Goeschl, Rudolph Pischinger and Hanns Schell. D.1-3 Well come to Islamabad and drive to Minapin. D.6-25 Acclimatization, ascend peak descend to base camp.